You must make reservations at least 5 minutes in advance of the time at Morton's The Steakhouse - Carew Tower. Dinner: Sunday - Thursday: 5:00pm - 10:00pm, Friday - Saturday: 5:00pm - 11:00pm. Bar 12-21 opens daily at 5pm. Enjoy specially priced bar bites during Morton's "Power Hour" Monday - Friday from 5pm - 6:30pm and 9:pm - Close. Morton's is expensive, but you get what you pay for. The food, the service, and the atmosphere are first class. It is an occasion restaurant, in the sense that the meal is well-paced; they aren't in a hurry to see you go. Well worth the money. Very good food, the only slight is that it is a little plain. I’m glad we went during restaurant week. The steaks, though perfectly prepared, were somewhat bland. The service, perhaps due to lower than average restaurant week tips, was less than stellar for a very high end steak house. I wouldn’t return under ordinary circumstances. Everything was Amazing, but our waiter could've been more attentive and friendlier! Top notch service! It was our anniversary and the staff made sure we felt special. The food was very good, but for the price I have had better food at other establishments like Jeff Ruby's. My filet was medium and I ordered medium rare. My husband's was cooked to order medium rare. The lobster bisque was not as thick as I expected and also not very hot. The food and the service was wonderful! We will definitely be back! 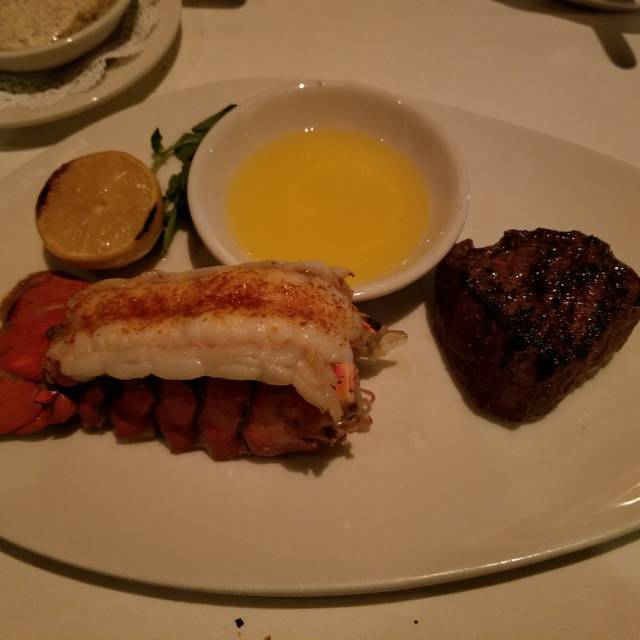 Morton’s is usually a great, consistent dinner for us. But 2 of our 3 steaks were not good. And our service was not the usual on point. It may have been because it was restaurant week, but we didn’t order from that menu and certainly didn’t come in for those specials. Just leaving a note because maybe too much emphasis was put on the special menu. It was some of the worst service we have ever had. We voiced our concerns to the management. Because of this experience, we have no desire to ever go back. We went here for Restaurant Week and had an amazing time! Food was excellent, and service was great. I would go back in a second. Our server was outstanding. Everything came out better than I could imagine. Will be visiting again. 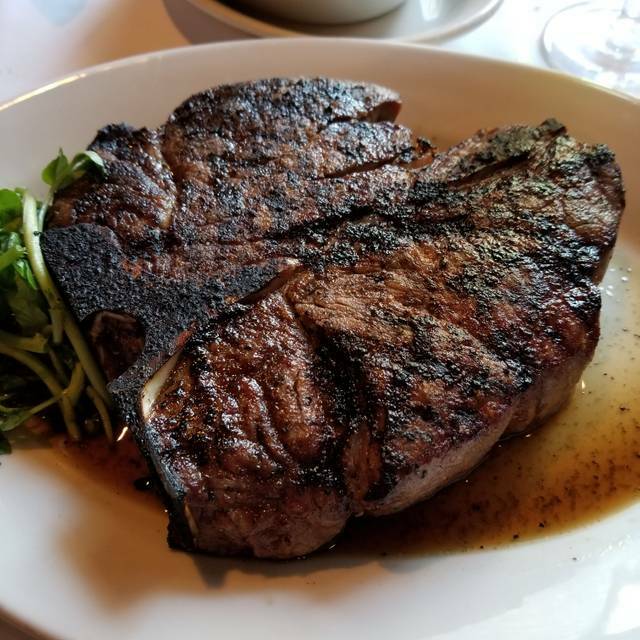 I visited Morton's for the first time during Great Cincinnati Restaurant Week which offers smaller than usual portions for a cheaper price. 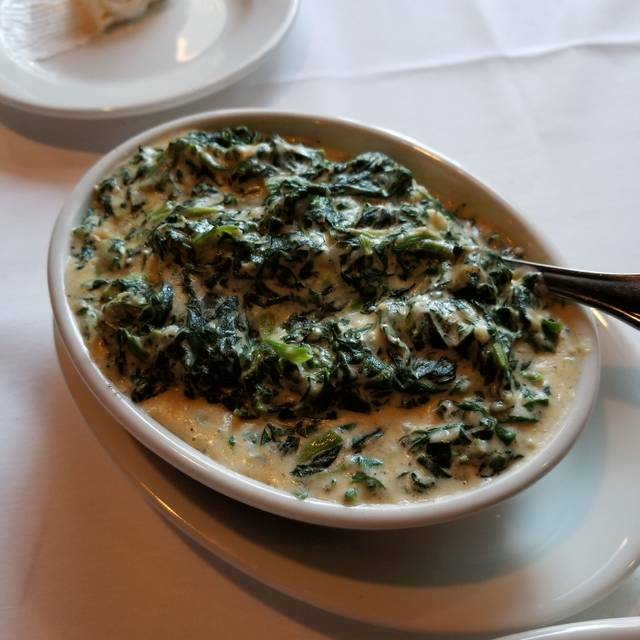 All the food was delicious - lobster bisque, au gratin potatoes, mashed potatoes, creamed spinach, and med. 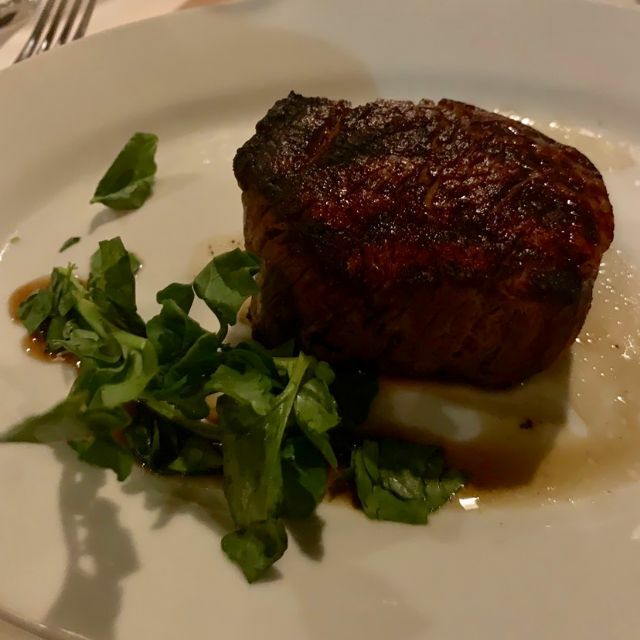 rare filet cooked to perfection. Key lime pie and the chocolate lava cake were delectable, although each more than 1K calories! Service was very polite and attentive. So good I forgot about photos before it was gone! I was very pleased that they helped us celebrate our friend's 75 th birthday by printing a menu with a Happy Birthday and her name on the menu. They also took a group picture and gave it to our friend as a rememberance of the celebration Our waiter, Charles, was very personable and checked on us often to be sure everything was good or if we wanted anything else. We dined here for the first time during restaurant week but will definitely be back. Our waiter, Charles, was amazing. Ask for him, you won't be sorry! And that hot chocolate cake.... I'm pretty sure I heard angels singing when I took that first bite. Amazing food, great service and beautiful atmosphere. WIth all of the steakhouse choices in Cincinnati, this one just doesn't quite get it done. Accounting for the fact that it was Restaurant Week (bad timing on our part), it was still just an okay experience. For example, our party of five had a number of occasions when there were uncleared plates and empty glasses. Applebees, sure. Morton's? That shouldn't happen. The food was just okay. 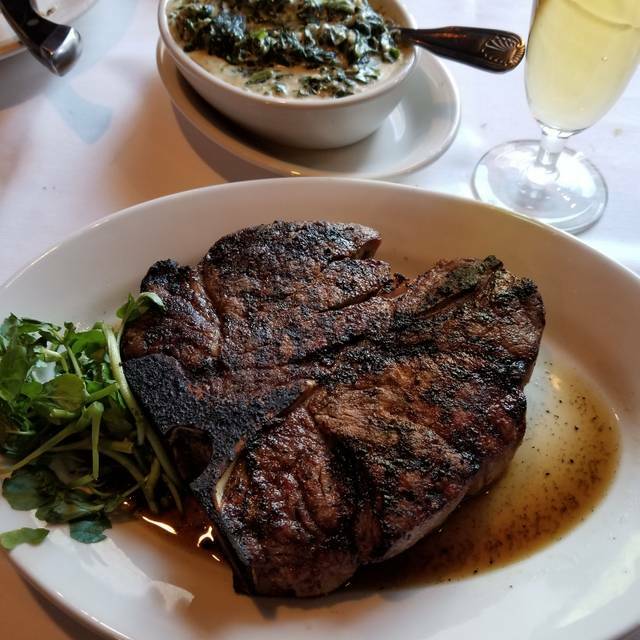 We have our "steakhouse favorites" that are outside of the meat category (not that we don't like a good steak too) and their take on those was just average. 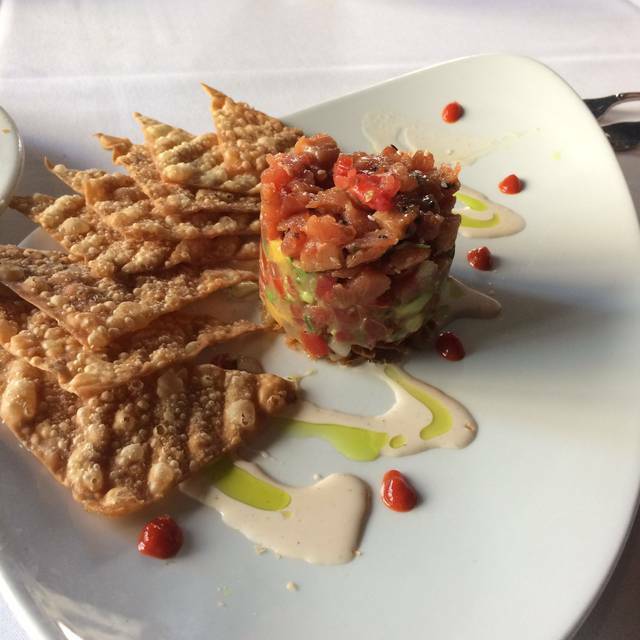 The ahi tuna tower isn't even close to Capital Grille's Tuna Tartare and the Lump Crab Meat dish was about an ounce of crab meat on a bed of iceberg lettuce. Not impressive. The wine list was okay - nothing extraordinary but you could find something to drink. Basically, I couldn't come up with a reason to go back. It looks like the happy hour specials are good and maybe at an 80% discount some of these things seem less important. But, again, that doesn't feel like a high end steakhouse to me. 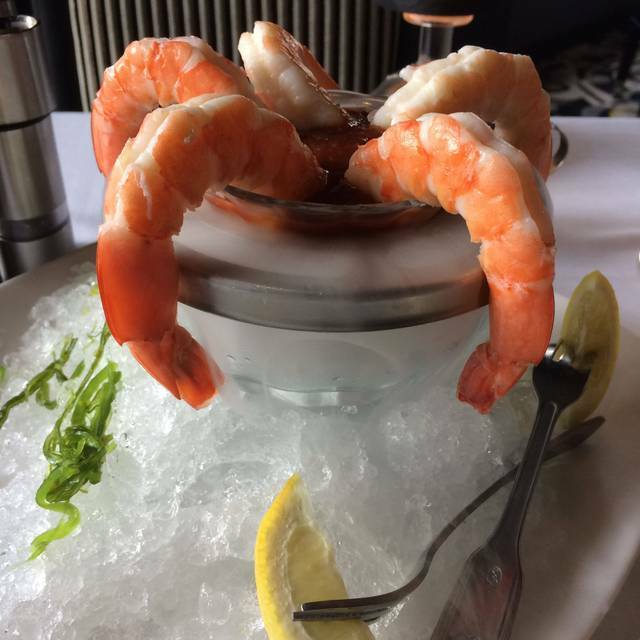 This was not one of the better dining experiences we’ve had with Morton’s. We had three cocktails that were incorrect, two of our sides were swapped, and two of our checks were incorrect. I was a bit thrown off by the time everything was straightened out and forgot to give the waiter my rewards card. We come here quarterly for our work dinner, and we may switch to a new venue next time. Excellent, attentive service and great food. My husband and I had date night at Morton's. We chose Morton's because of the wonderful food and service we had on Valentine's day. Our waiter was Kiefer, and we requested him as well as a booth for date night and both requests were provided. The food was again, exceptional, and service outstanding. We will continue to dine there any time we wish to have date night or any other special occasion. Service was outstanding and the food was delicious. The spot is great, allowing for a view over 5th & Vine (Fountain Square). Will definitely be back! Poor service, meal underwhelmed. Sorry folks... wish I had gone to Jeff Ruby or Ruth's Chris for my birthday. The food was horrible over salted. Eat person at our table ordered a different meat, steak, pork, and lamb. For to the excessive salt it was hard to tell them apart. The whole meal was that way almost no other flavors. Very disappointing. It was excellent! Will be back! Lobster soup was lukewarm which made it unpleasant. 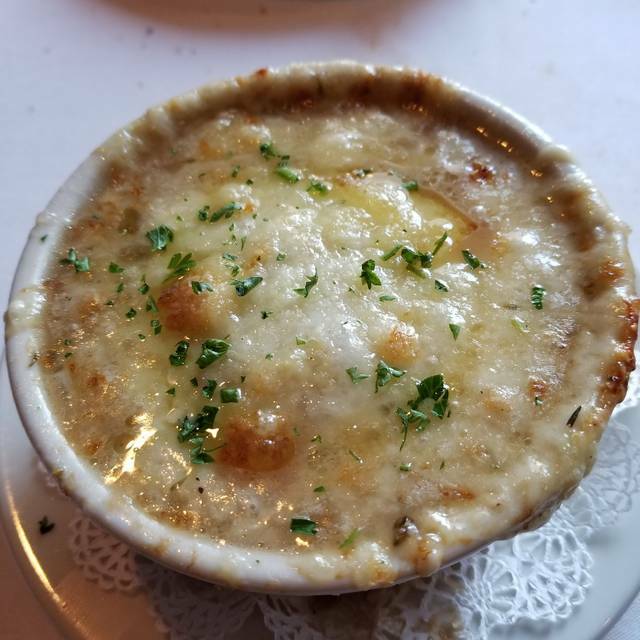 Onion soup was forgotten and bread out late. It too was lukewarm which made it impossible to eat. They did refund the onion soup. The steaks were to be medium and were more like medium rare with a true “blue”center. If you like medium rare it would have been perfect. The brussel sprouts were underdone (still hard). On a positive note our server was a nice guy who was an excellent server. I overheard another waiter tell a customer the oven was not working correctly that evening as he was apologizing for a mistake on one of their items. I’m unsure if this was true or an excuse but the food was less than expected. With tip we spent $500. Usually we do that with pleasure but unfortunately this time it was with angst. Absolutely stellar service! Very accommodating to their customers! Not the Morton’s food that we are accustomed to. Honenstly one of the worst meals I have had in years. The whole experience was awesome except for the fact that we had a waiter that was still training so we did not get the full Morton’s experience. The other staff did come by and try to help out. The atmosphere and food was excellent. Good service and really, really good food. We spent $650 on a meal for 4 (eek), but it was worth the experience. I like to do a high-end steak dinner at least once or twice a year. 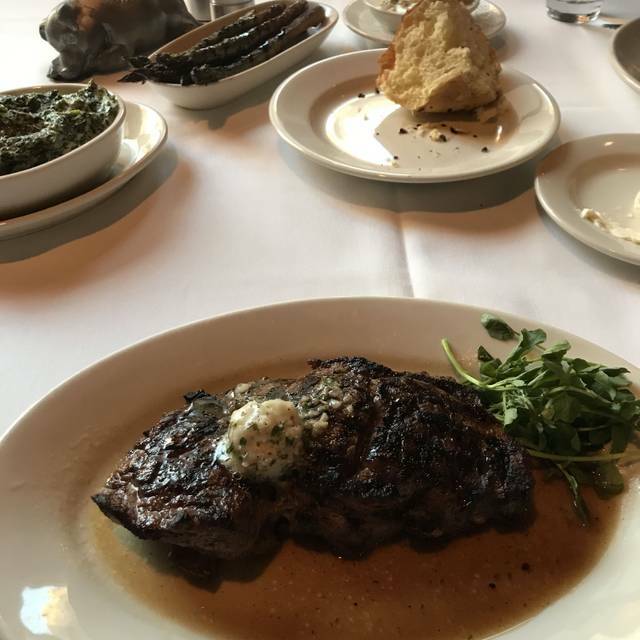 We opted to do Mortons this year, over some of the other common steak-houses in Cincinnati, due to recent disappointments at these competitors. I would return to Mortons for sure. Food was very good to excellent. Service was fine for the first part of our experience. But while we were actually eating, 5 different people interrupted our conversation to ask "how is everything?" 2 would be more than enough, 3 is excessive, 4 is annoying, 5 is beyond the pale. And then they disappeared. We sat for better than 10 minutes with the dirty plates on the table after our last diner was finished. Had to flag someone down to get the check, then everyone at the table went to the bathroom in sequence, so 7-10 minutes more before anyone came back to pick up the payment. I can appreciate not being rushed out or feeling like they only want to turn the table, but we were there a solid 15 minutes longer than we wanted to be waiting on them. Service is supposed to be the other way around. Good food, very uneven service. The service was what I would expect at Longhorn Steakhouse or Texas Roadhouse. I wasn’t impressed. When you pay top dollar for food you presume your service to be outstanding. Not to say the service was horrific, but it absolutely wasn’t 5 star service as you would anticipate at Morton’s. Was able to use our Landry’s Select points and birthday reward to bring down our overall expense and we poured that into the tip. Wait staff was excellent and the food was the best we’ve had at a Morton’s. But then I’m a sucker for truffle oil! Steak was sent back to being over cooked but when it was returned it was amazing. Unfortunately the service was not up to par with the normal service we receive from Morton’s. Food was amazing. It was a lovely evening.